Follow the fly fishing adventures of Doc Brown and his pal Crab in a brand new comic strip Fluff Chuckers. Only in Total Flyfisher Magazine, available from shops that sell magazines, like Smiths and that one just round the corner. I'm also doing the illustrations for Parton's Parting Shot as well - which is pretty sweet. Spot on! Maybe you'll be the 21st century Bernard Venables (Mr. Crabtree goes fishing, etc). All the best! Yeah, great to see you getting paying work out of your strips and branching out too. 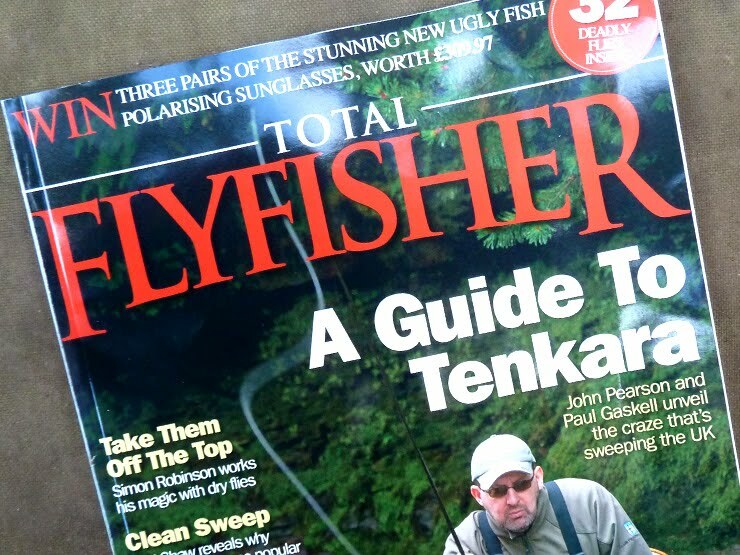 They are original, of our times, and likely to last — the world of angling publishing should beat a path to your door. This is great. I'm happy for you, being paid to do the fun things in life is brilliant!! Well done. Great news, well done Brian. Is there some kind of spoonerism (cf. play on words in which corresponding consonants, vowels, or morphemes are switched) in "Fluff Chuckers"? I'm just not that smart. But thanks for pointing it out, if I have to change the name I'll blame you!